Today, I am thinking about how God’s blessings come in many shapes and sizes. Recently, we talked about how God won’t lead you where He won’t feed you. We also studied parts of the prophet Elijah’s journey during the severe drought. When Elijah started out on his journey, God directed him to the Kerith Brook and told him to drink from the stream. God also commanded the ravens to feed Elijah. Eventually, the brook dried up, and Elijah could no longer receive his water from the brook nor his food from the ravens. God then sent Elijah to meet a widow and the widow became his source for food and water. It is clear that ravens in the air and a widow look quite different. 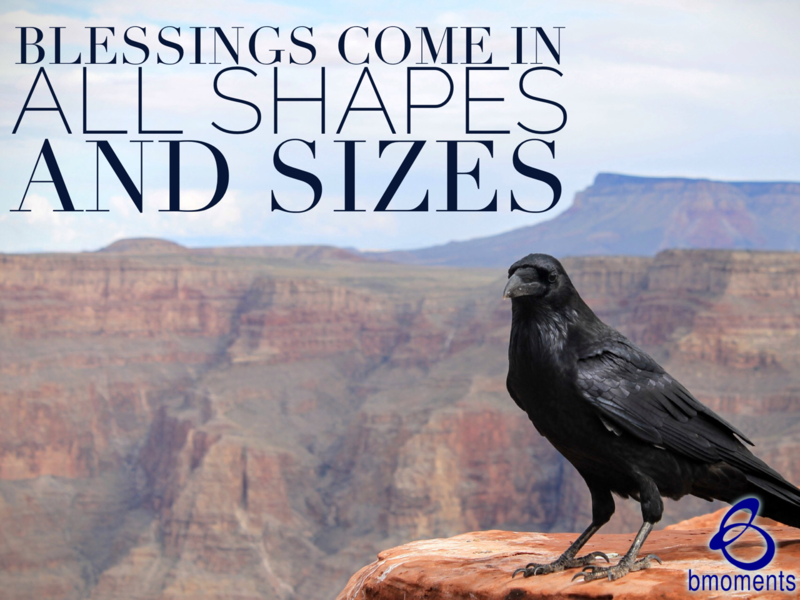 That’s because God’s blessings come in many shapes and sizes. Sometimes, we can be caught off guard when God’s blessings come from a different source. In other words, we can be guilty of confining God’s blessings to our own understanding. For example, God used nature—the brook and the birds of the air—to bless Elijah during the first part of his journey. Therefore, the human inclination is to look towards nature again because we believe that if God used nature once, He will use it again. Yet that is not necessarily true. This is how we can miss our blessings. We are looking for them to come from one way, and they end up coming from another direction and in a different form. However, they are all blessings from the Lord as it all belongs to Him. So today, don’t try to case God’s blessings—just receive them.